March was quite a month! 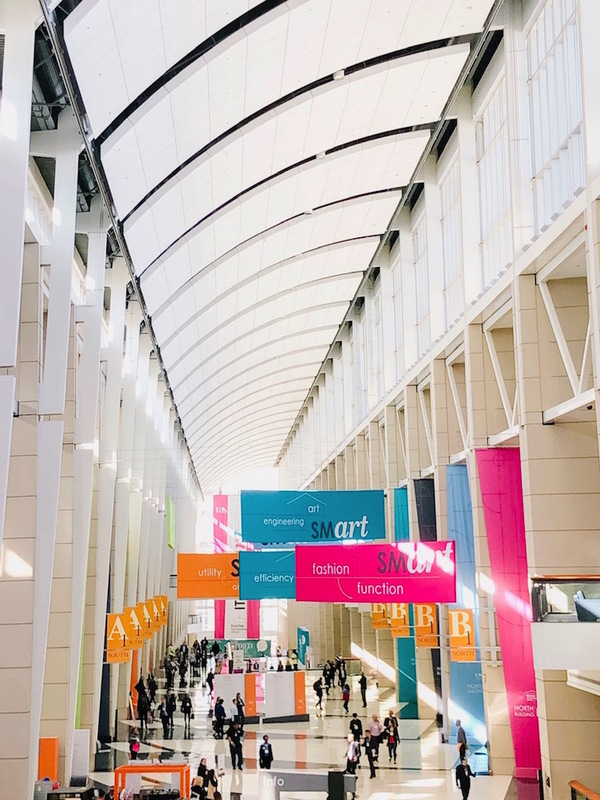 We kicked it off with a ski trip to Park City and the day after we came back, I woke up bright and early to head downtown Chicago for the International Home & Housewares Show. I was lucky to get an exclusive look at thousands of new home items on the market and excited to share them with you today. There were quite a few things I know you’ll love so if you haven’t subscribed to Shining on Design, do it now so you’ll get notified when I do post. 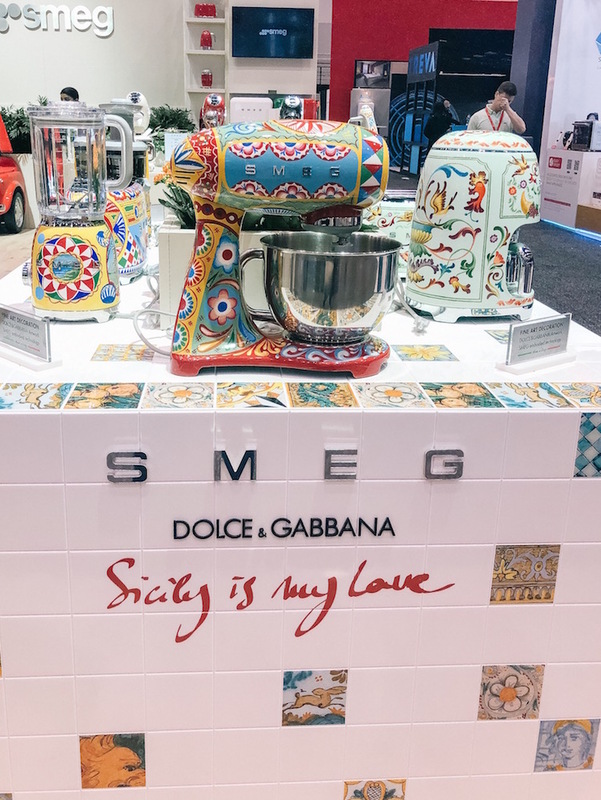 Sicily is my Love is the name of Dolce and Gabbana’s latest line with Smeg. Last year they launched their painted refrigerators and this year’s line included toasters, citrus juicers, coffee machines, kettles, blenders, stand mixers and slow juicers. 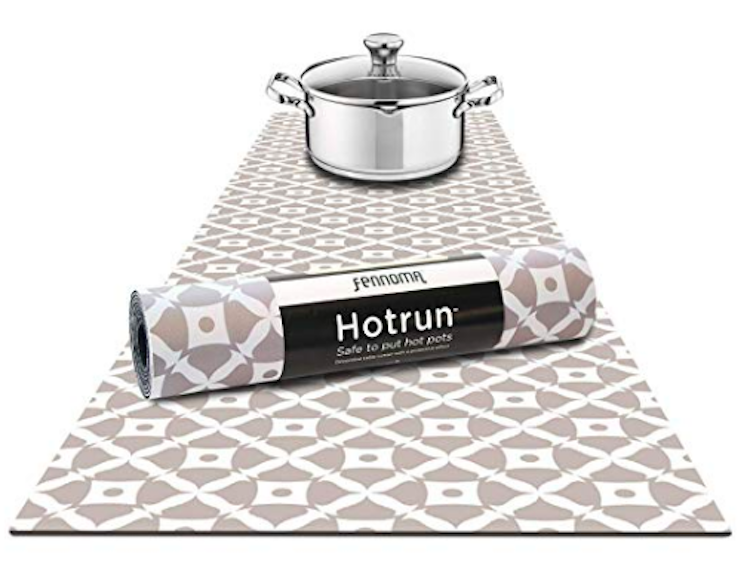 Chic Wrap is a reusable and easy to use dispenser for plastic wrap and parchment paper. Aren’t those boxes that normal plastic wrap come in awful? You’ll LOVE how easy these Chic Wrap dispensers make it to use!! There are also many different patterns – even MARBLE, which is so chic right now. Here’s another fun marble item…. 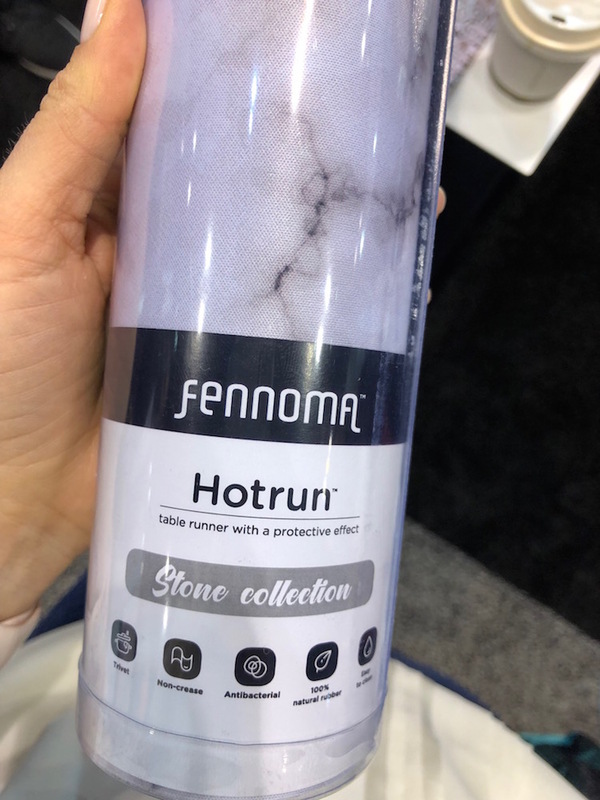 This is a table runner that is also protects your surface. I could see myself using this in our dining room or our kitchen island to serve up dinner! Wouldn’t this be perfect when baking dozens of holiday cookies too?? I’m always short on trivets around the holidays! You may be tempted to throw away your muffin tins! 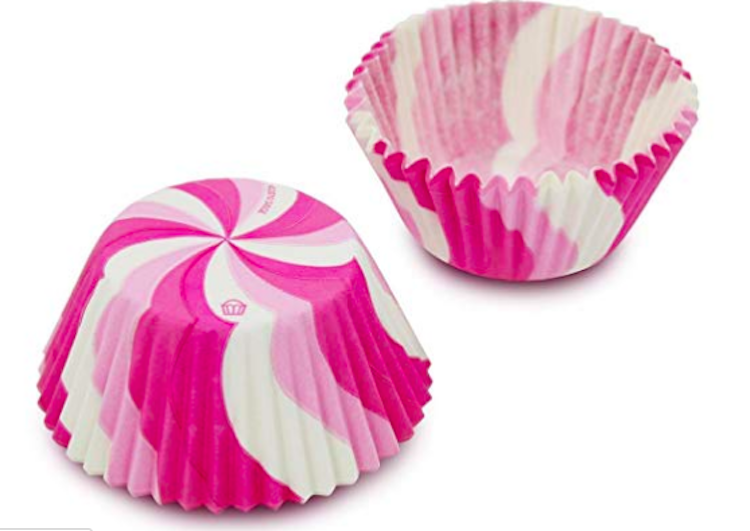 Cupcake Creations are DURABLE and cute baking cups. You put the cups right on a baking sheet to cook. 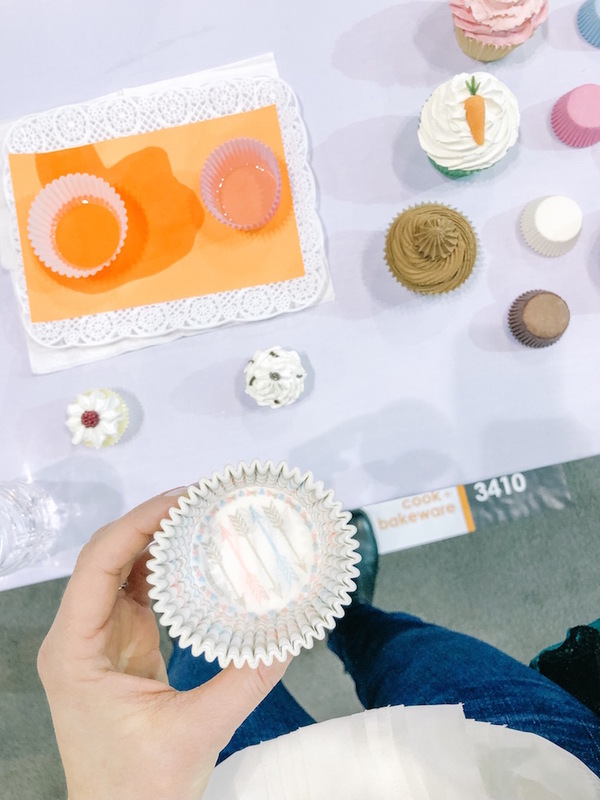 The baking cups on the orange paper show the difference between a regular cup and the Cupcake Creations cup. See how the oil doesn’t leak out of the Cupcake Creations cup? More pattern options will be available soon too. I posted about these in instagram stories at the show and could not believe how many messages I got asking where to buy them!! Clearly I’m not the only one that thought this idea was genius. 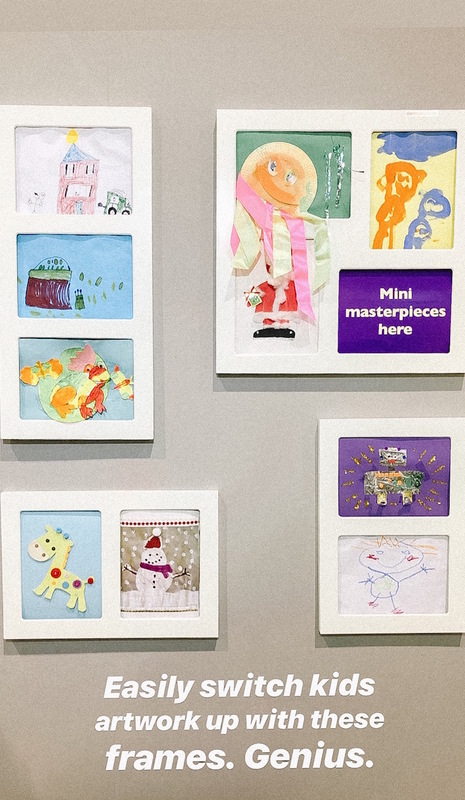 My fridge is constantly being filled up with my kids artwork and I’ve been searching for a nicer, easy way to display their masterpieces. This is it!! They are available in single, double and triple picture frames. 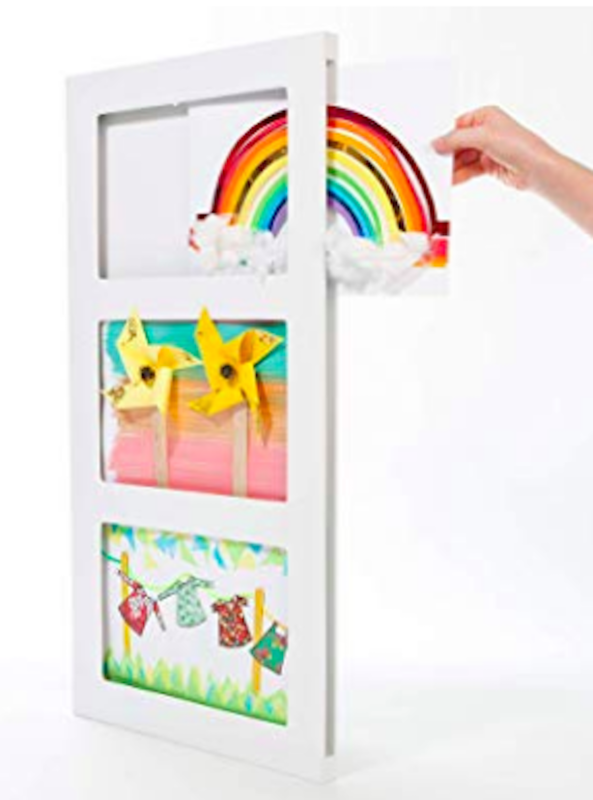 Great for kids rooms, classrooms, or anywhere in the house! Reusable and dishwasher safe bags that keep food fresh for DAYS. 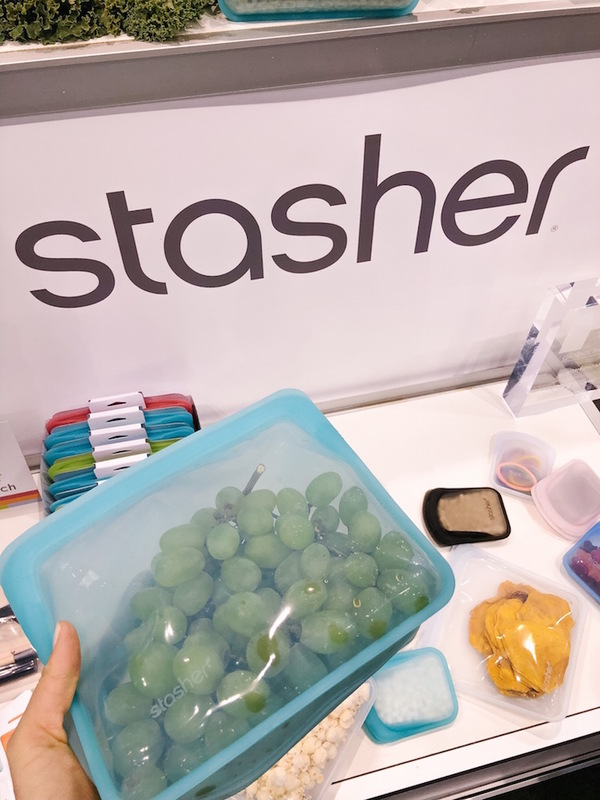 One blogger put her avocado in one of these bags, left for vacation for 10 days and when she came back… her avocado was STILL FRESH! You can also microwave, freeze and put them in the oven. Not to mention they are plastic-free, so they are a healthier option. We are trying to use less plastic in our house so I’m excited about these. 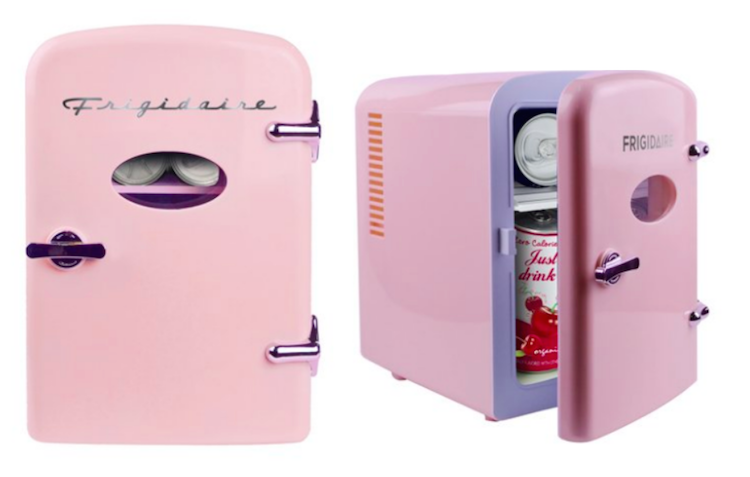 Aren’t this mini fridges adorable? Great for your office or outside deck. You have to plug it in but many cars today have outlets so you could even bring these on long road trips! Prices start at ONLY $35 and vary by color. Do you use these already? If not, you are going to love them! I get so grossed out by disposable sponges and tired of buying new ones all the time. Did you know your supposed to replace them every WEEK? With the silicone sponges, they dry faster and won’t harbor bacteria. By using these you are not only reducing waste, but SAVING money. Prices start at ONLY $4 and vary by color. 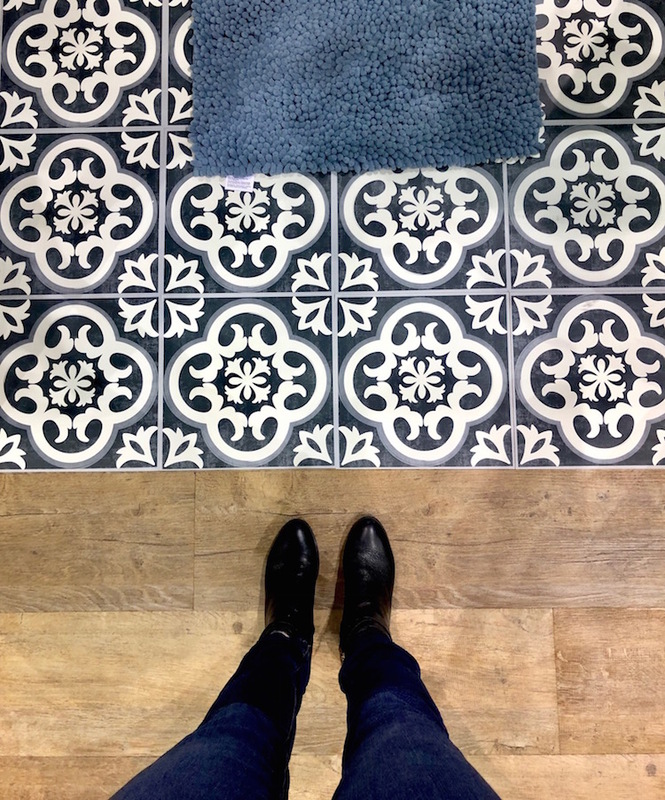 Details on these floor tiles are coming soon!!!! I couldn’t believe how easy and fun these are to work with (not to mention, affordable!). Since I loved these so much, I’m dedicating an entire post to them 🙂 Should be live by Friday! 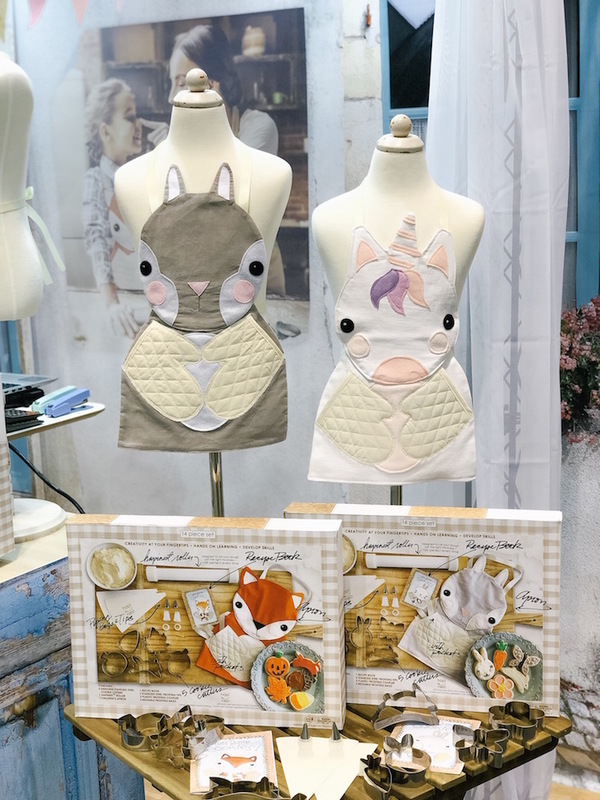 Thank you to the International Home and Housewares Show for having me this year! Lots of exciting things! If you happen to be in the home or housewares trade, tickets are available for next years show in Chicago!